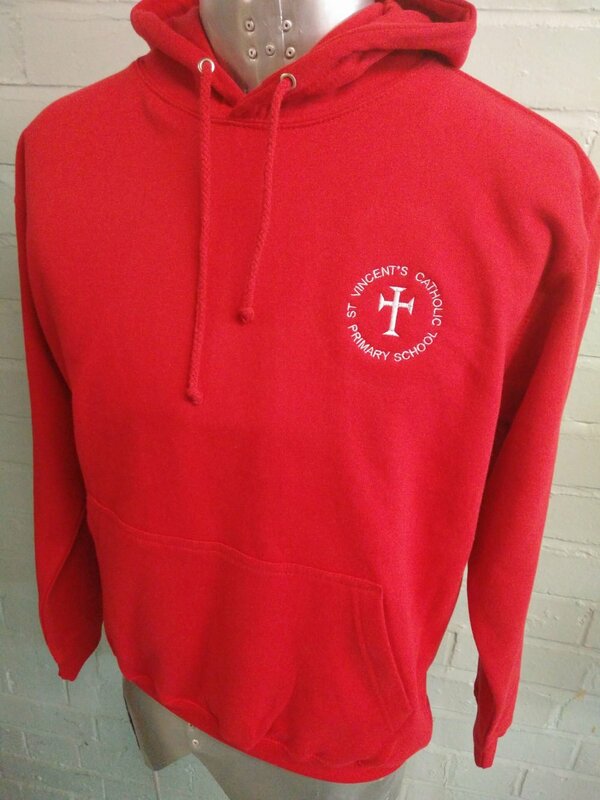 Bright red Leavers hoodies for St Vincents Catholic Primary School. 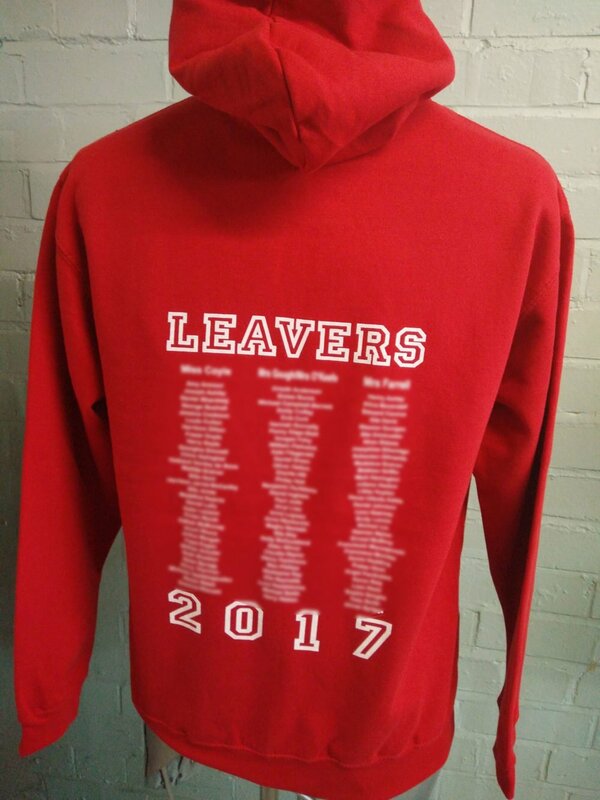 With embroidered logo on the front and Leavers print customised on the back with Leavers names. 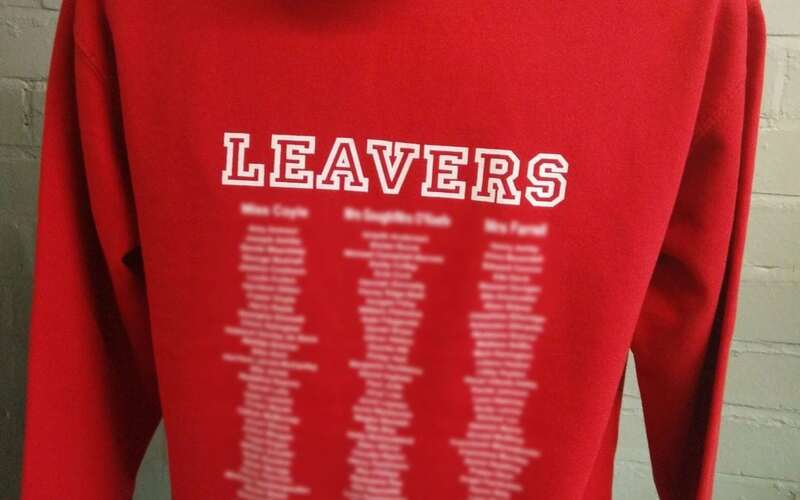 Looking great and bright!